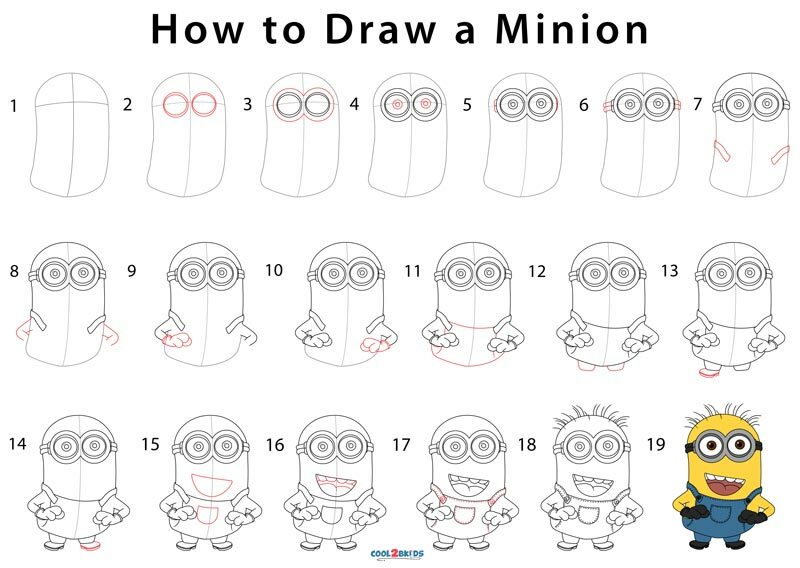 The adorable Minions of the Despicable Me movie is the subject of this drawing exercise. 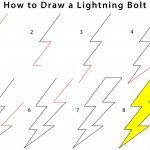 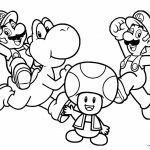 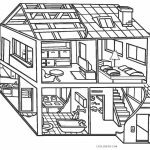 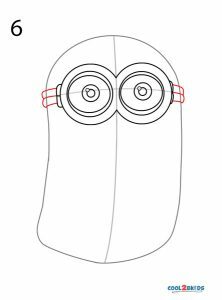 It relies on a rectangular-like shape for the basic outline and really tests you on your circle-drawing skills, thanks to the trademark goggles worn by the tiny creatures. 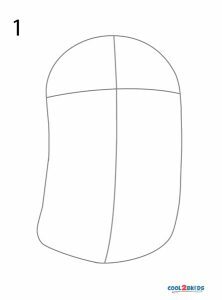 Step 1: Draw a long shape with rounded corners. 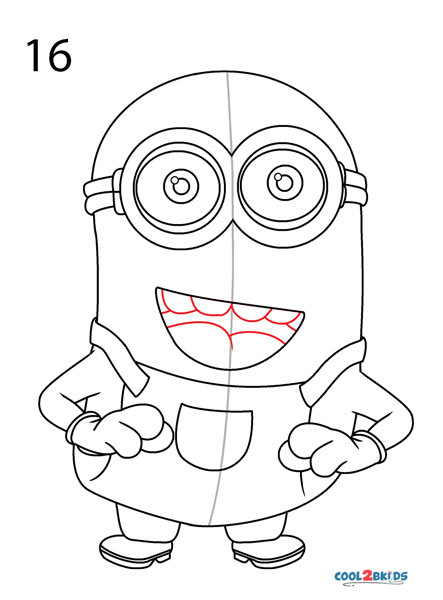 Dissect it with intersecting horizontal and vertical lines. 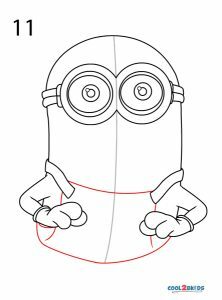 Step 2: Draw 2 circles with a double border. 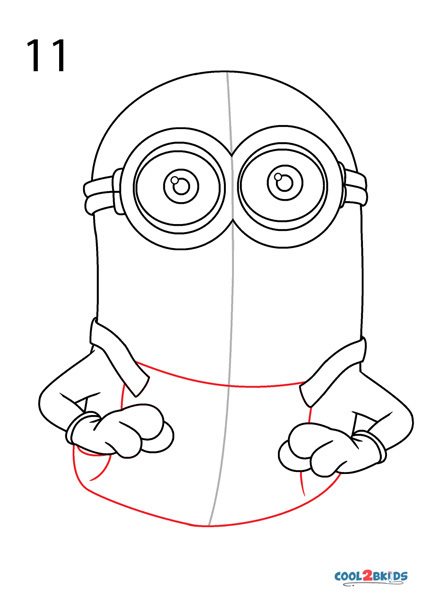 Step 3: Surround them with bigger overlapping circles. 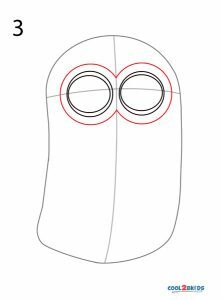 Step 4: Sketch inner double bordered circles. 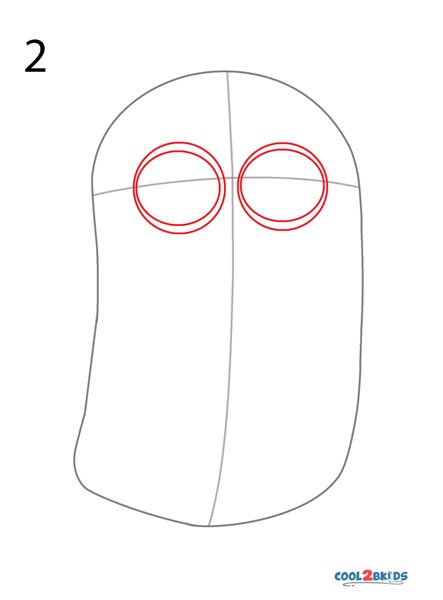 Step 5: Sketch 2 tiny semicircles on each side of the outer circles. 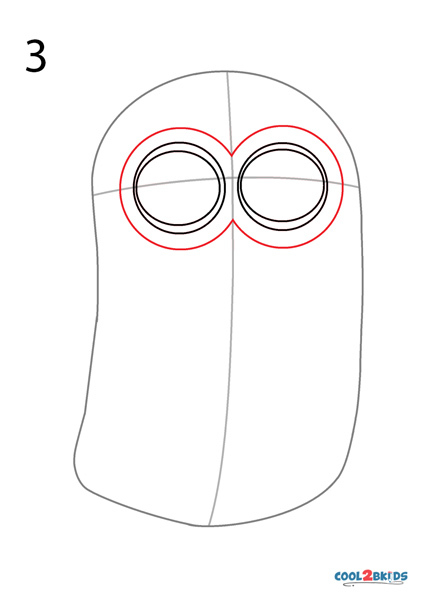 Step 6: The handles of the glasses are now shaped. 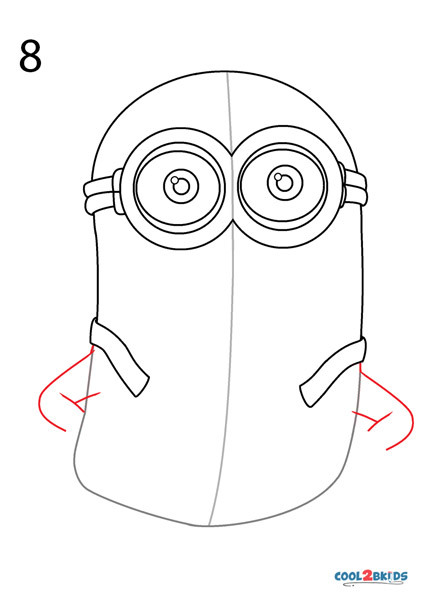 Step 7: Narrow strips that hang down from the sides of the body are now sketched. Step 8: Start shaping the arms. 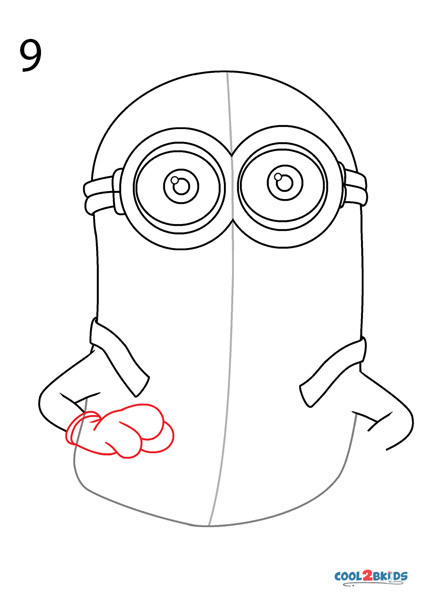 Step 9: Draw the left gloved hand. 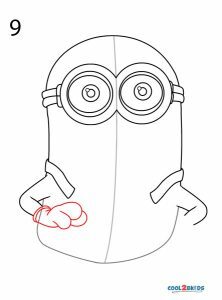 Step 10: Repeat with the right hand. 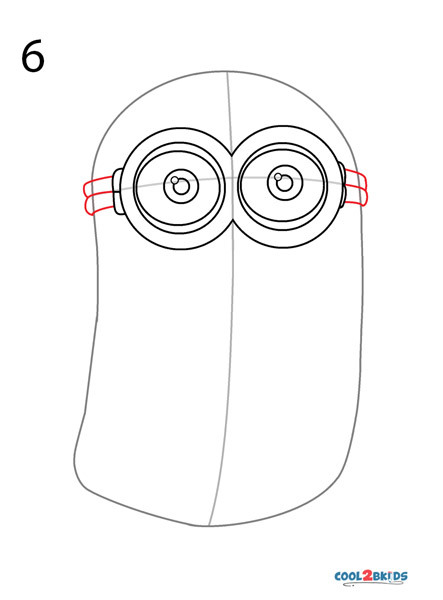 Step 11: Connect the straps (step 7) with curved lines signifying the overalls. 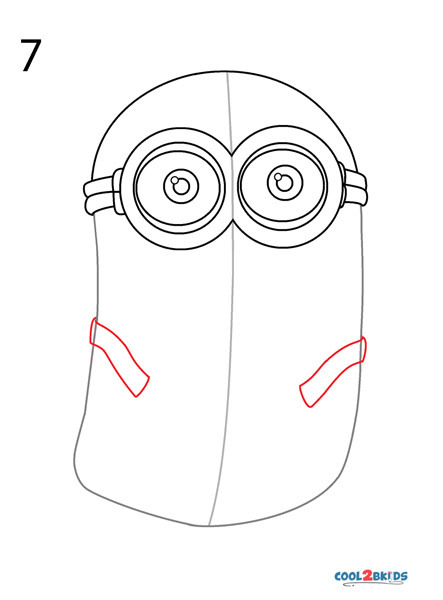 Step 12: Starts shaping the tiny legs. 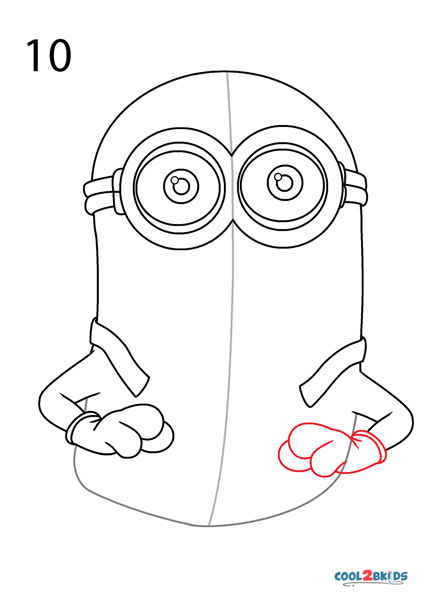 Step 13: Draw the small shoes on the left leg. Step 14: Repeat with the right leg. 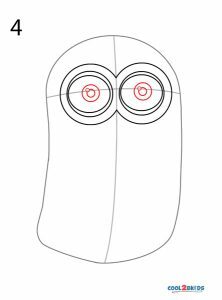 Step 15: Draw two semicircles, one below the other. 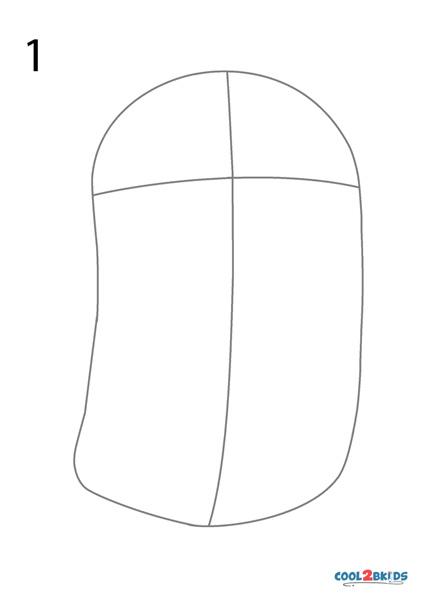 The first one signifies the mouth and the second one, a pocket. 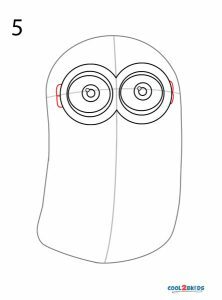 Step 16: A set of rounded teeth on the upper jaw and the tongue can be seen inside the mouth. 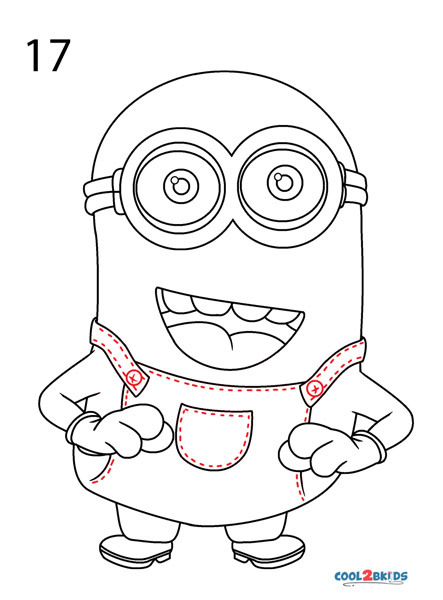 Step 17: Draw 2 buttons and tiny dashes along the border of the overalls. 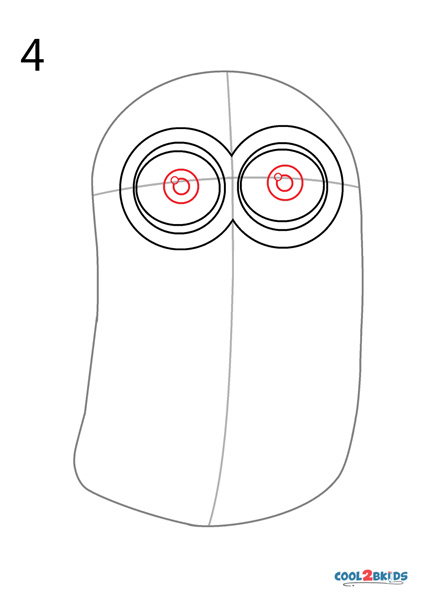 Step 18: Upright arches on the head signify hairs. 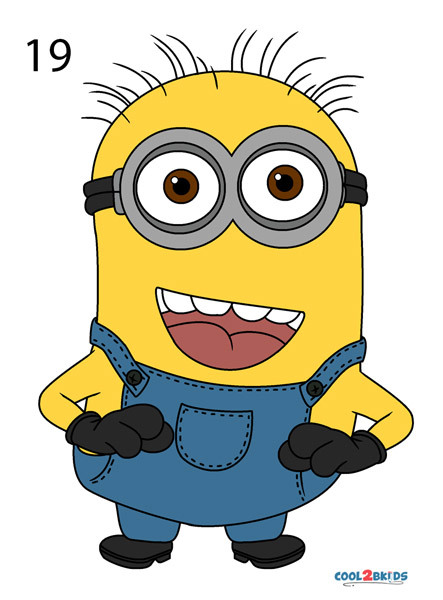 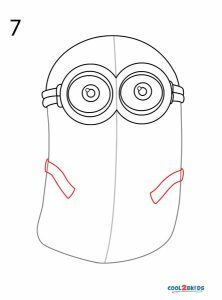 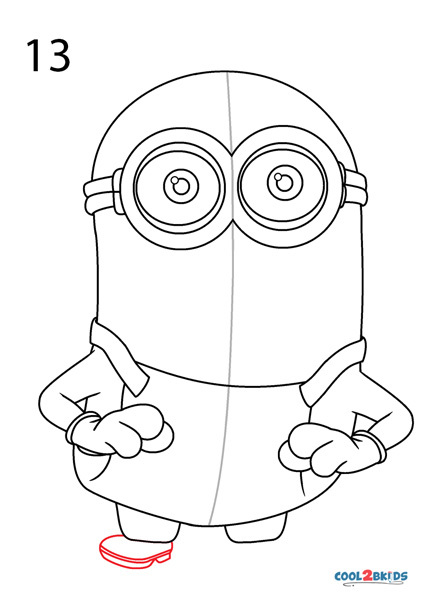 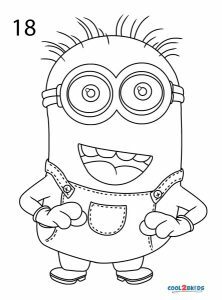 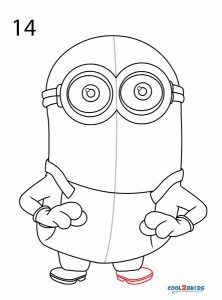 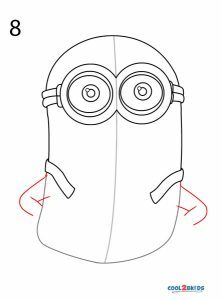 Step 19: Give the Minion its characteristic color. Take out your yellow, black, brown, gray and blue color pencils for the final step. 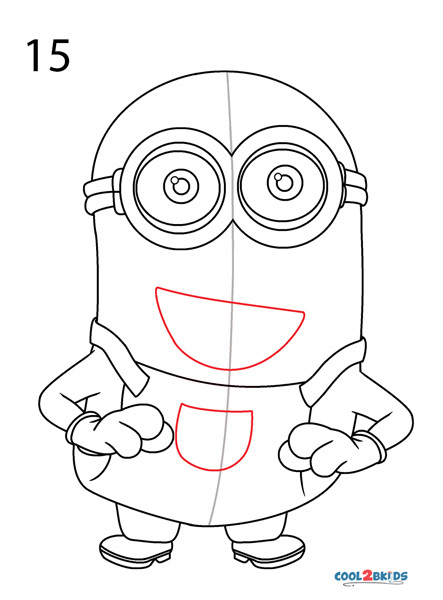 Finishing the figure would give little ones immense pleasure and fulfillment. 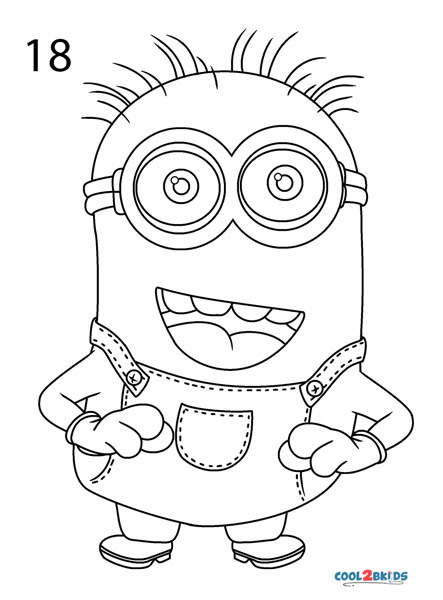 Who doesn’t want a Minion flashing a broad smile lighting up the canvas?